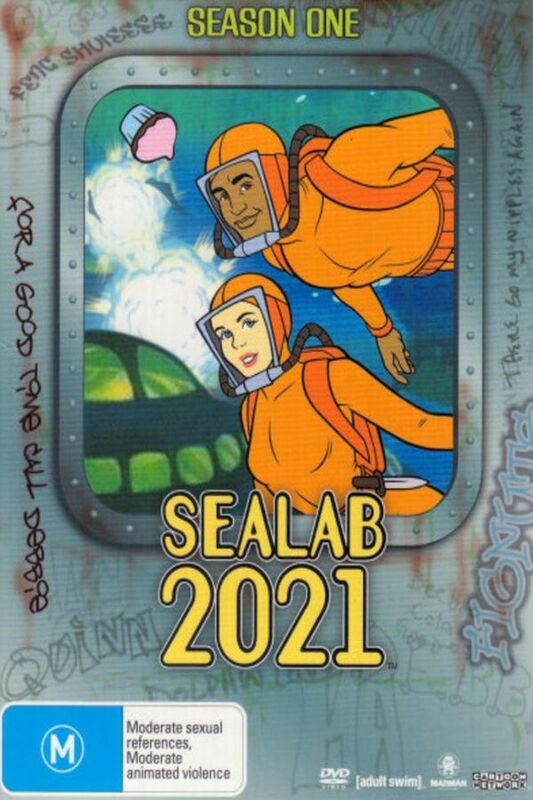 Sealab 2021 font here refers to the font used in the logo of Sealab 2021, which is an American animated television series. It was shown on Cartoon Network’s adult-oriented programming block, Adult Swim. The font used for the logo of the Series is probably Template Gothic, a rounded sans serif designed by Barry Deck in 1990. You can view more details about it here. In addition to Sealab 2021, Template Gothic typeface is also used in the following logos, movie posters or album covers etc., including: Are You Afraid of the Dark, Dazed and Confused (film), Sabrina the Teenage Witch, The Negotiator, Summer Palace.